I had an epiphany the other day. It happened when I was feeling really burnt out and out of balance. I had been spending way too much time at work and not nearly enough time at home. My two year old, in retaliation, stopped letting me get him out of bed in the morning and refused to sit on me or snuggle. I was being shunned and although my friends and co-workers assured me his behavior was simply him being a two year old, I knew it was something more. So I took Friday off and I kept the kids home. We played hookie! I started the day off making “Mama’s Perfect Scrambled Eggs” and then we went to Rocket Donuts and had a donut. 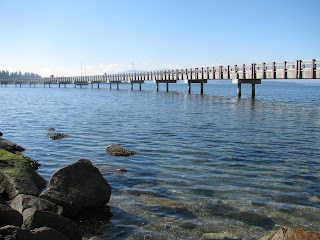 And then we went to Boulevard Park and played on the boardwalk and threw rocks into the water. And then we went to Boomer’s Burgers for lunch and all shared a strawberry milkshake. And I’m proud to say that after three straight days of nothing but mommy time, my two year old finally called for me this morning. No, it doesn’t solve all of my problems of course, but it does reinforce my need for finding balance. And I know I’m not alone in that one. Anyway, this post is supposed to be about breakfast! The plan had always been to start our day off with Rocket Donuts but I always worry about my children having too much sugar and not enough protein. 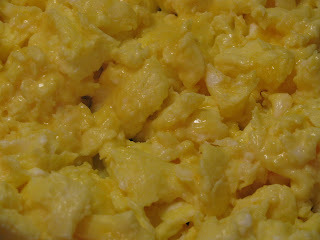 So I made my famous scrambled eggs. 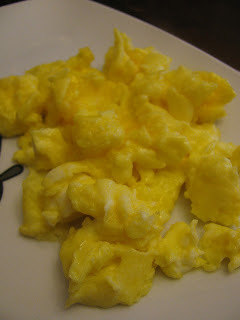 It might seem strange that I’m doing an entire post on something as simple as scrambled eggs, but in the same vein as Megan’s “Perfect Hashbrowns” I strongly believe there are few people out there who actually know how to make good scrambled eggs. It truly is a science. So I thought I’d enlighten you. I will scold you throughout these directions. I’m sorry about that but it is necessary. Scramble your eggs with a little milk in a bowl. Heat nonstick skillet on medium low. Butter pan well. If butter browns the skillet is too hot. 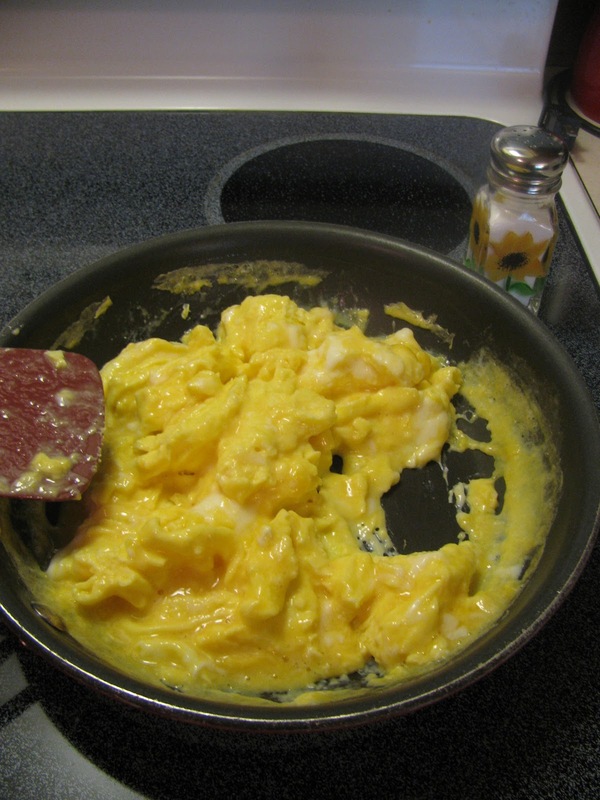 The number one key to cooking perfect scrambled eggs is to cook them slowly which means the burner cannot be too hot. 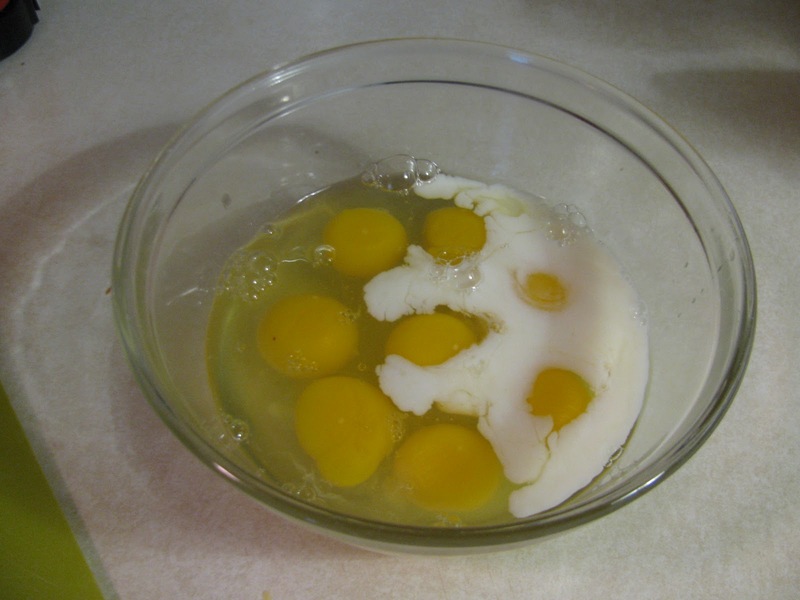 After you pour the eggs into the pan wait patiently for a minute. Then, take your spatula and simply scrape it along the bottom of the pan. Do not flip, do not break apart. 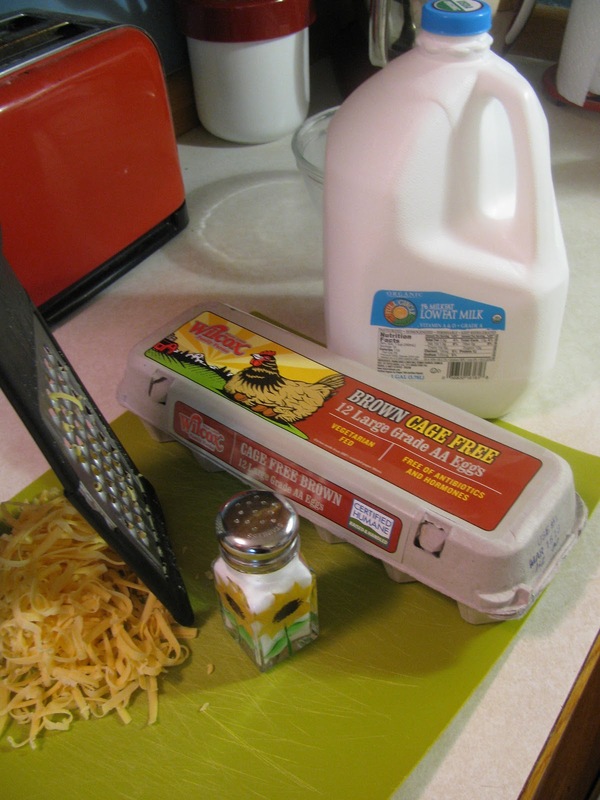 Scraping the bottom will simply move the cooked parts of egg away from the heat of the pan and make room for the other parts that have to cook. This also helps make the eggs fluffy. When eggs are halfway cooked, sprinkle with salt and stir around a bit. 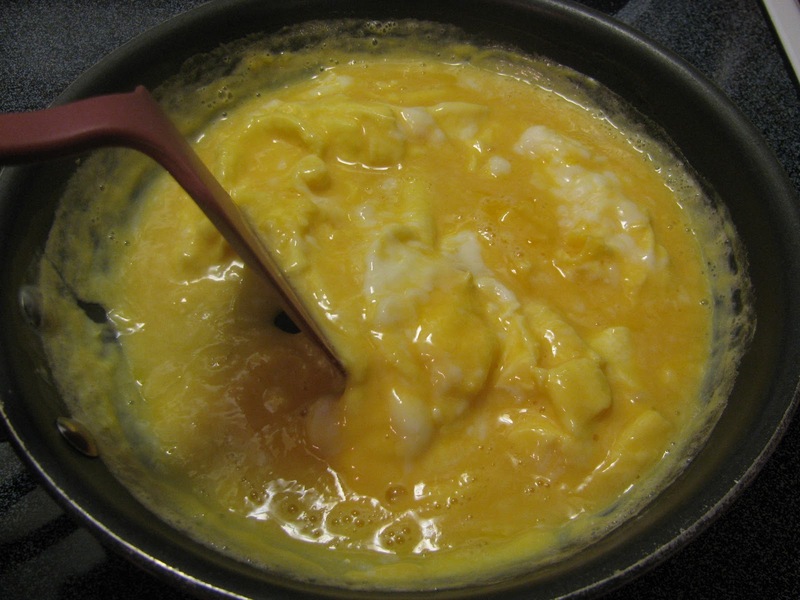 At this point it might be ok to break the eggs up a bit into chunks but don’t over scramble. 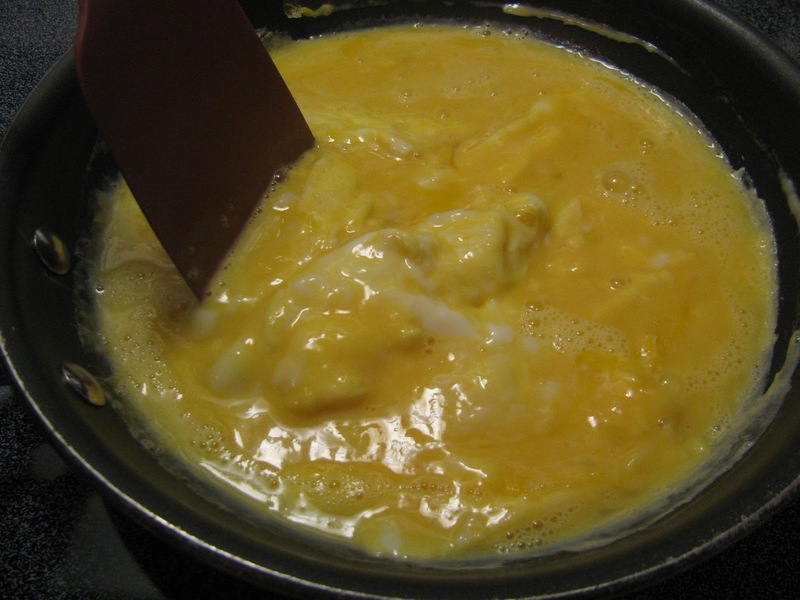 One of the biggest mistakes I have seen people make, if they get past the too-hot-of-a-burner problem, is that they over-scramble. My husband, for example, makes his eggs into teeny tiny egg bits and that’s just frankly hard to get on a fork, and is not at all fluffy. At the very end of cooking time, sprinkle shredded cheese on the top and turn off the burner. Stir cheese around a bit and let sit until it melts, then stir it around a bit more. 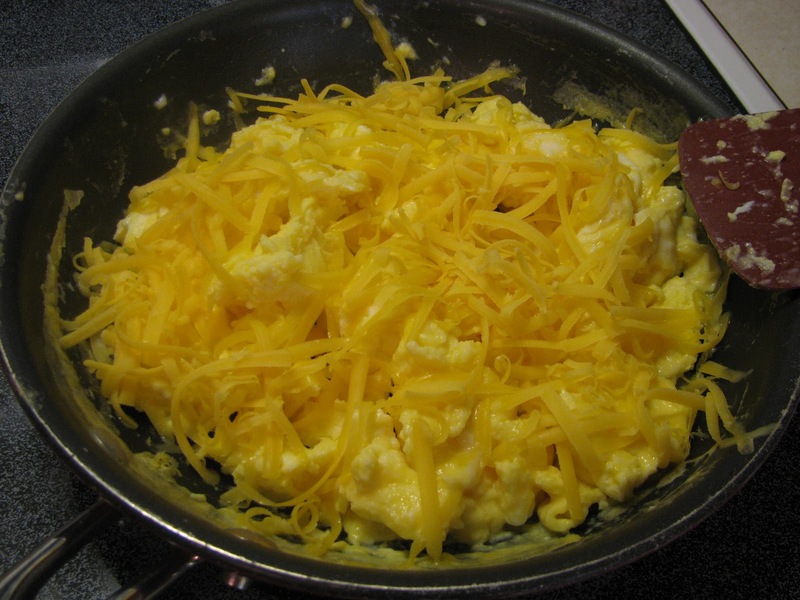 The cheese adds a bit of extra flavor and makes the eggs more creamy and oh so delicious! Add cheese and turn off burner. get cheese all melty and stir around and break the eggs up a bit into forkable pieces. To recap: Cook on low. Butter pan well. 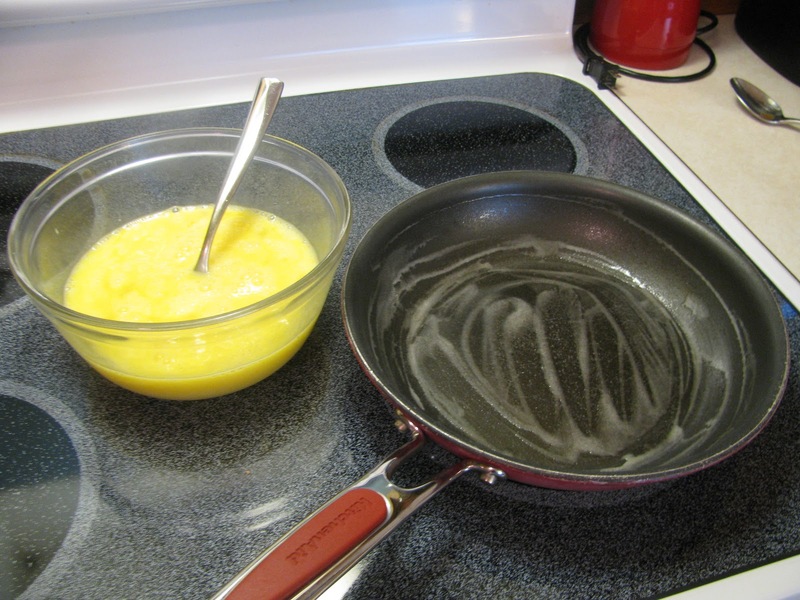 Use your spatula to simply move eggs from bottom of pan to top. Do not over scramble. ADD CHEESE! I love, love, love this post! You and my dad -- make perfect scrambled eggs. I'm going to try this and see if I can replicate his secret. This must be it! 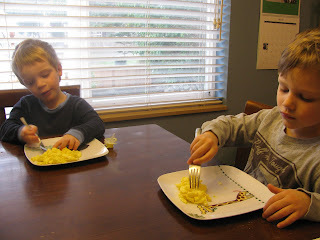 Good point about making the eggs fluffier and more forkable. I definitely needed these tips. You rock as a mom! Love the pics and love perfection. I need chunks on my fork for sure. How fun to play hookie with your cuties! They're 100 times more important and fun than work. Great pictures! 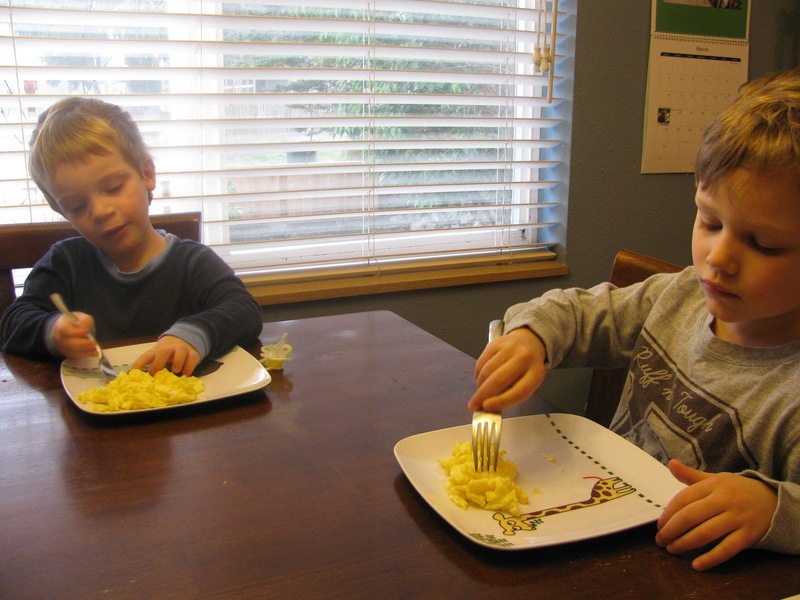 I agree it's hard to come by perfect scrambled eggs and it's something I have not mastered so thank you for this! And Rocket Doughnuts!? Sounds like a place I need to check out when I come to B'ham.